In childhood, a friend came to school geeking out about what they called Claymation. Up to that point, my experience with stop motion animation was limited to the Rankin/Bass Christmas specials that aired, without fail, every year. He told me to watch something, I don’t remember what it was, but was immediately enamored. The animation was choppy, but it was exactly the sort of dumb fun that was perfect for a young kid. Fast forward a few years, technology improves and Tim Burton Produced The Nightmare Before Christmas and all of a sudden stop motion animation was the subject of serious discussion. A few weeks ago, all anyone could talk about was Black Panther, and for good reason, but sitting in its shadow was an overlooked gem, released the same week. 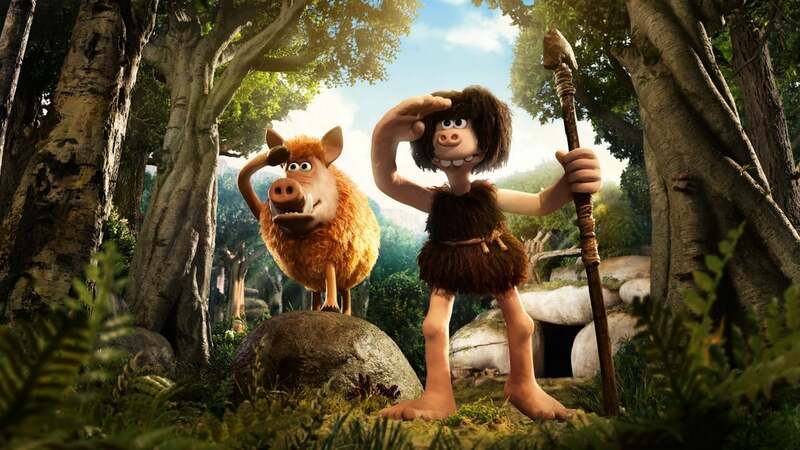 Early Man was released February 16th amid the Marvel juggernaut marketing machine. The brainchild of Aardman & Nick Park who have earned 4 Oscars & six BAFTA awards. While their names may not be well-known, their works are: the Wallace & Gromit series, Creature Comforts, and Flushed Away (not stop motion, but a great film nonetheless). The Wrong Trousers has, arguably, the best movie chase scene ever.